Accommodates both adult and child users equally, making it the perfect seat for all of your potty training needs. With next step, toddlers can use the seat with confidence, knowing it is sized to hold them, is securely attached to the toilet, and will not shift underneath them. Then, the child seat can be easily removed once your toddler no longer needs it. Twist hinges to remove seat for easy cleaning and replacement. 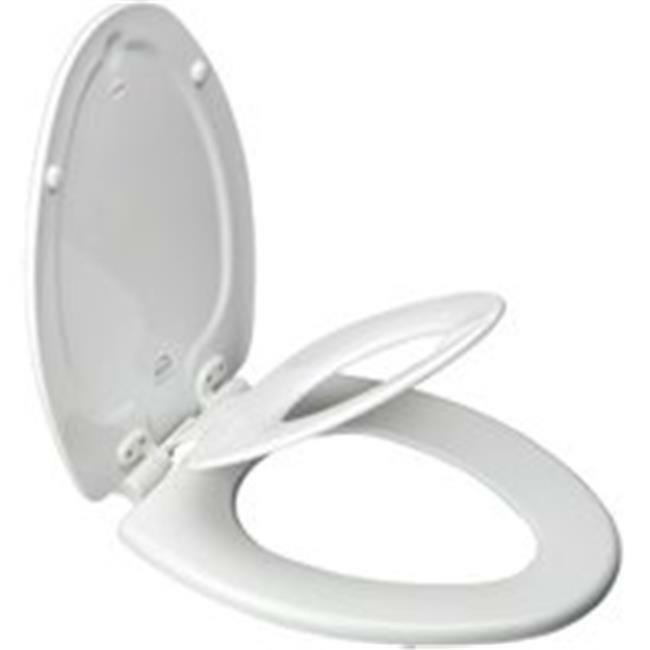 Built-in potty seat secures magnetically into cover when not in use to reduce clutter and removes when no longer needed or for easy cleaning.